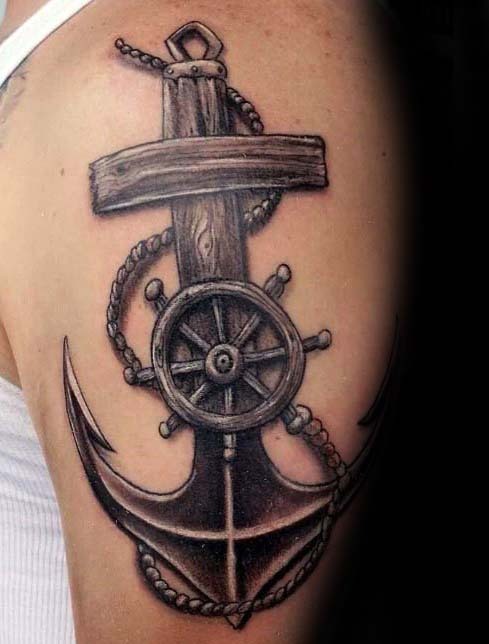 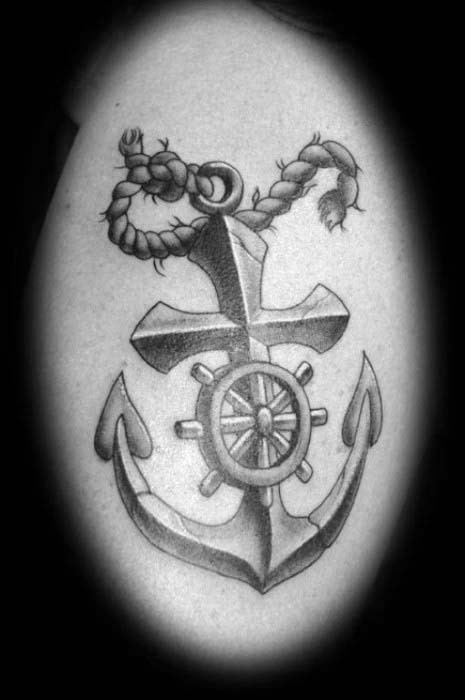 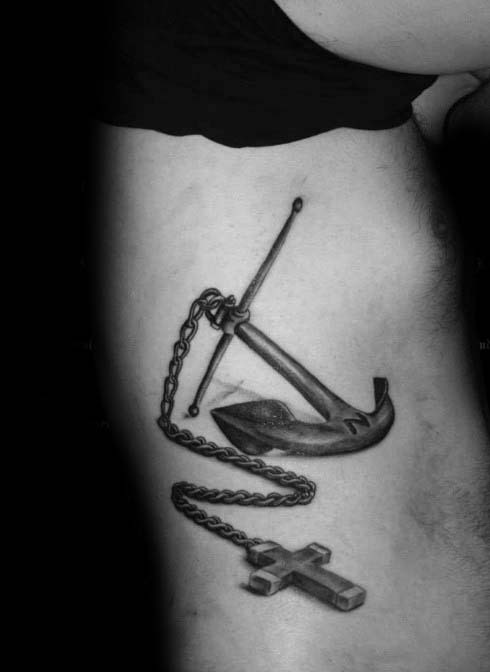 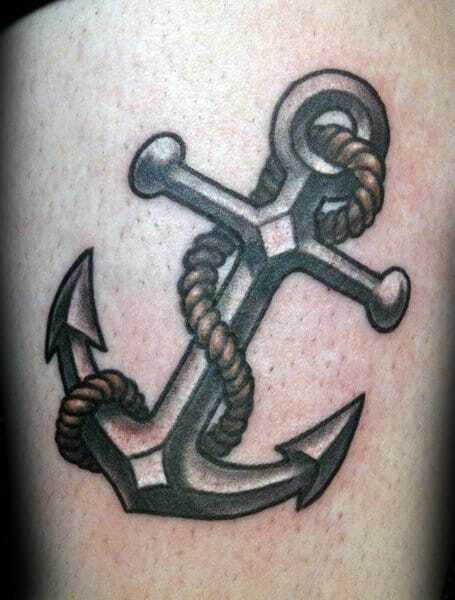 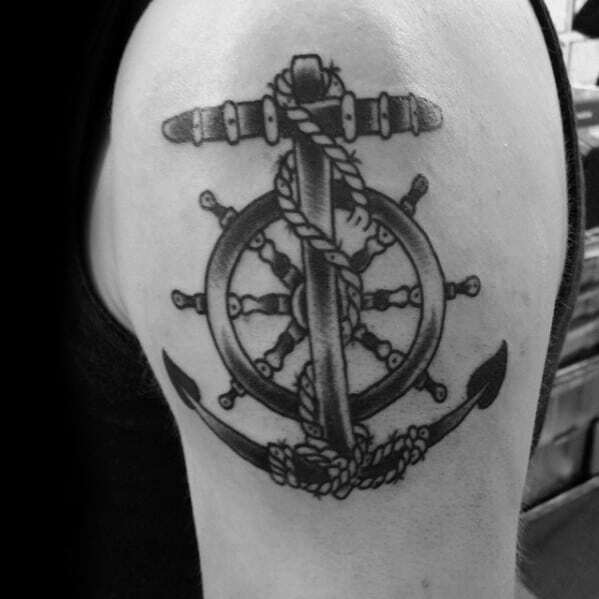 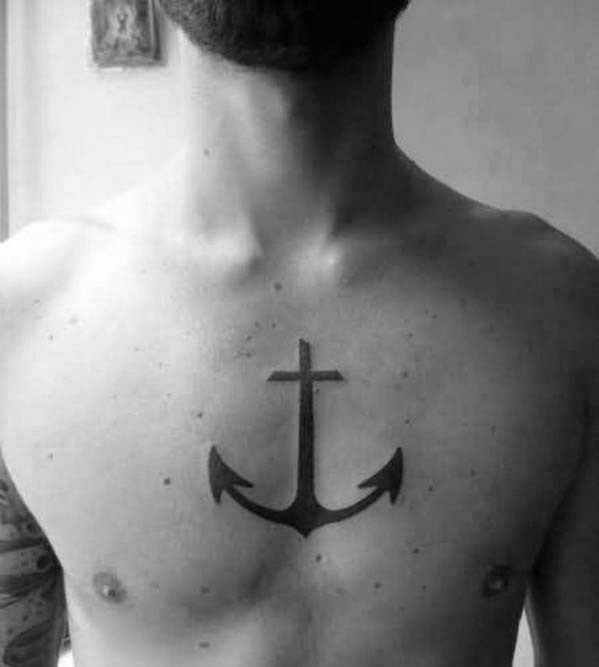 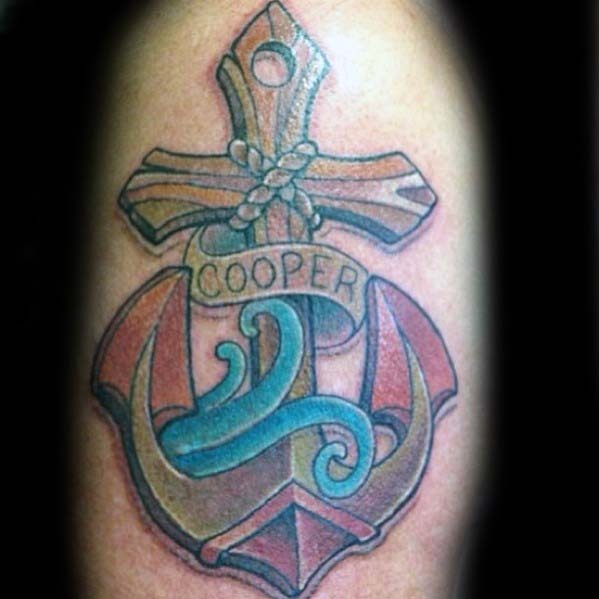 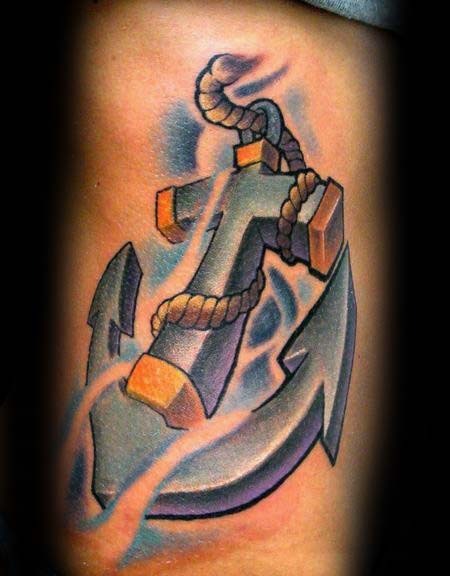 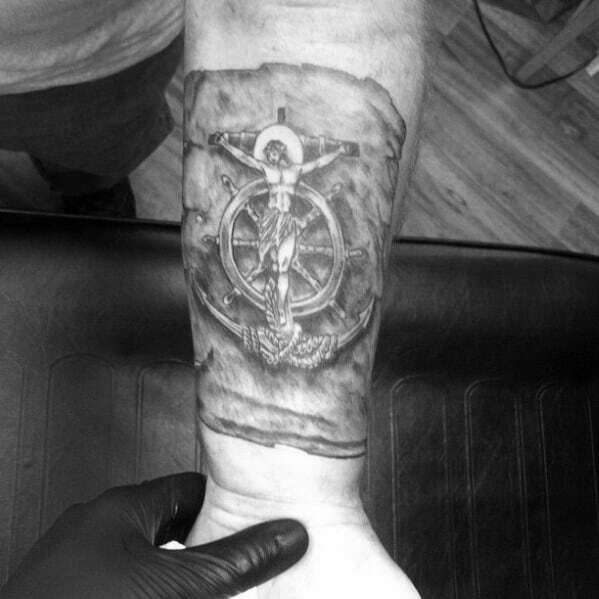 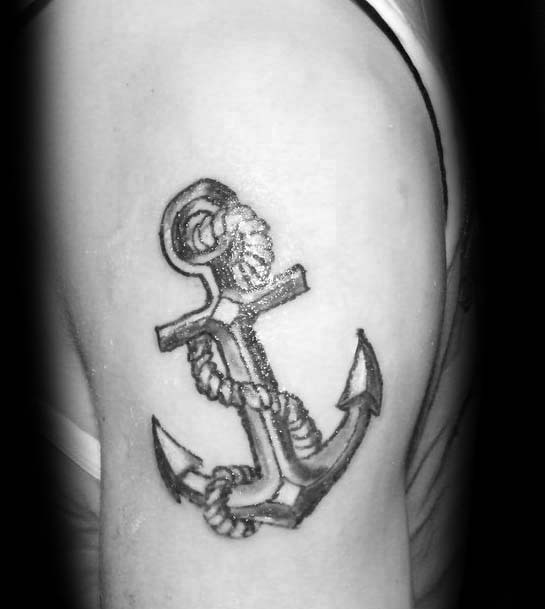 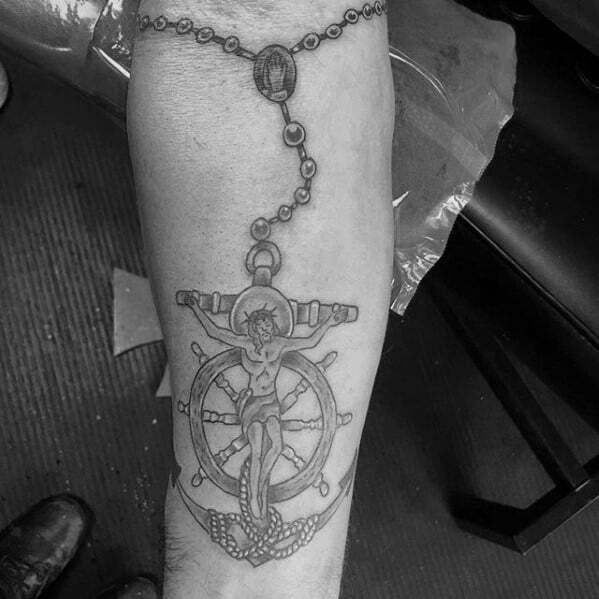 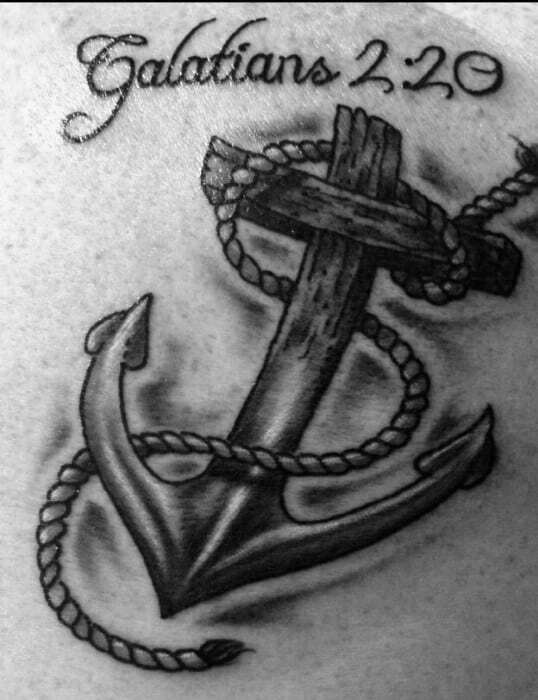 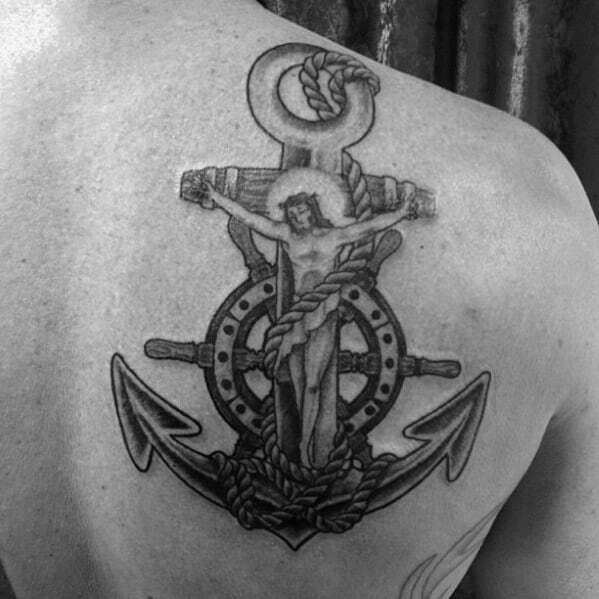 Since man first took to the sea, anchor tattoos have belonged to those whose business was on the water. 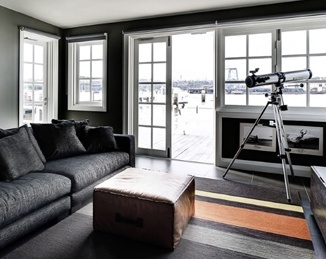 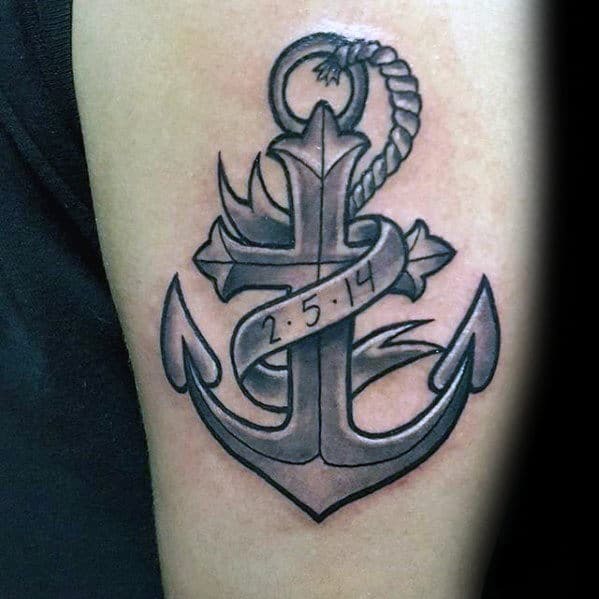 Sailors, naval officers, fishermen, and lovers of the deep celebrated their nautical commitment through interpretive renderings of the classic ship’s anchor. 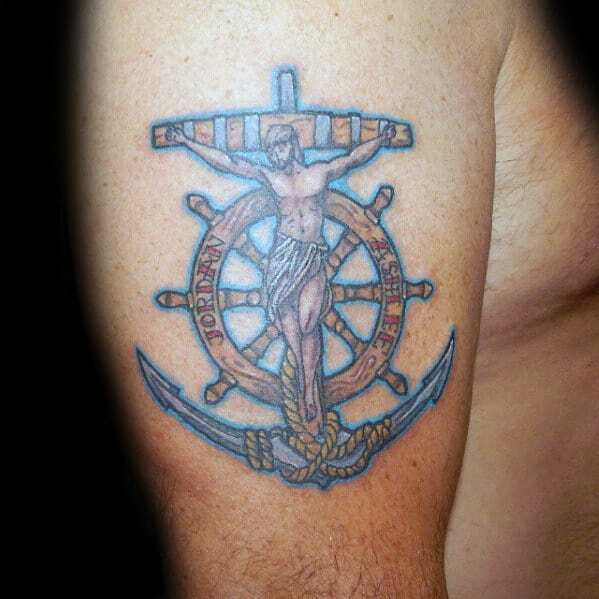 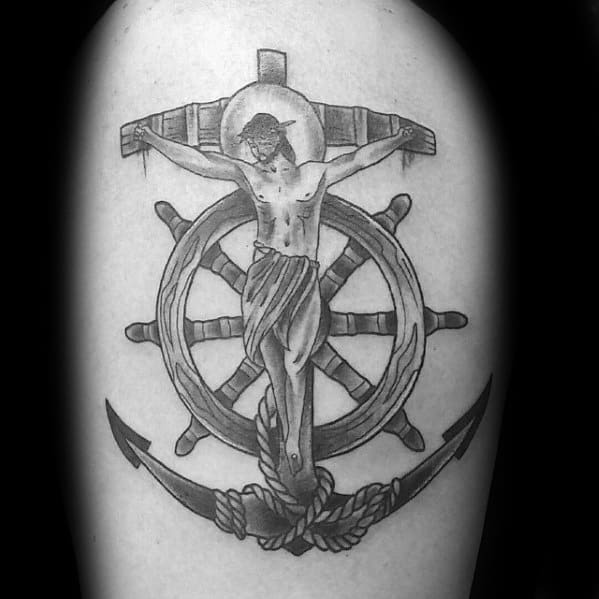 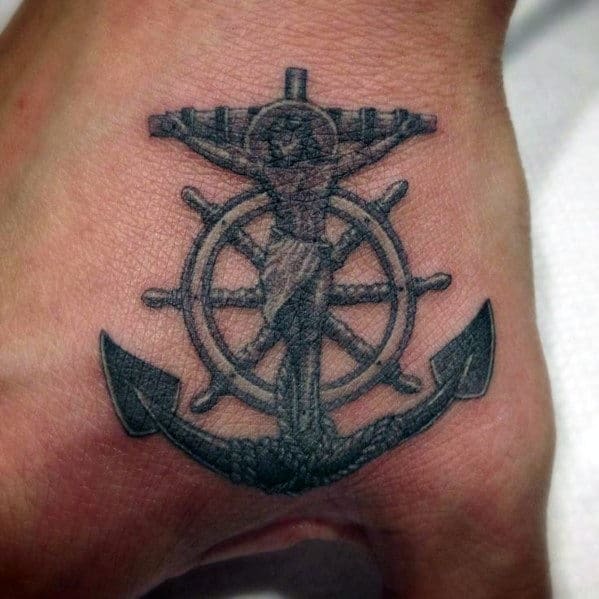 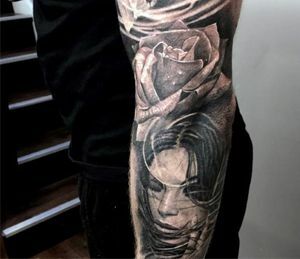 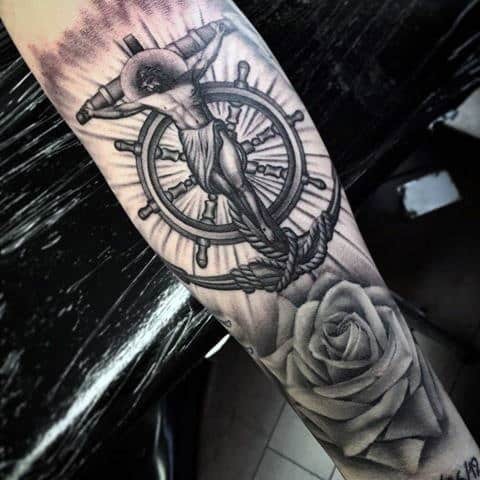 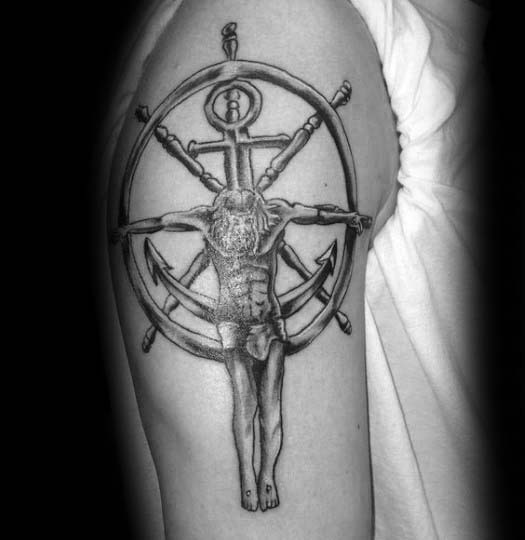 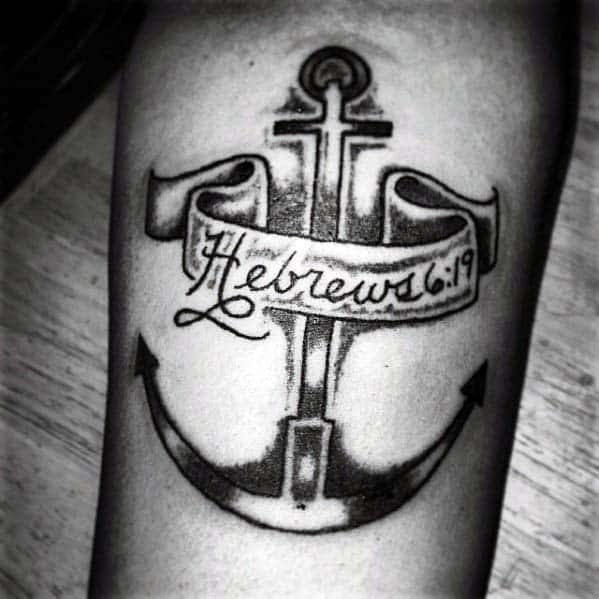 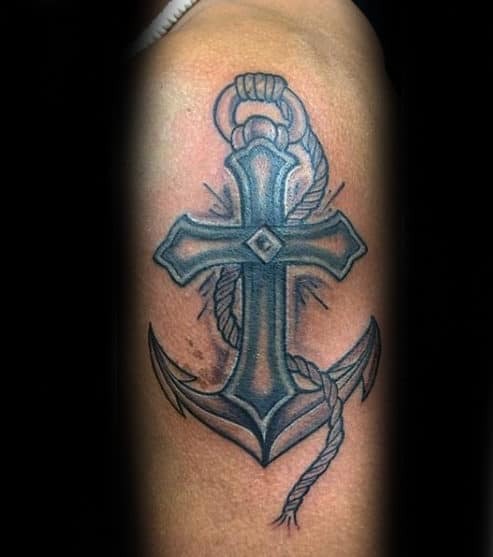 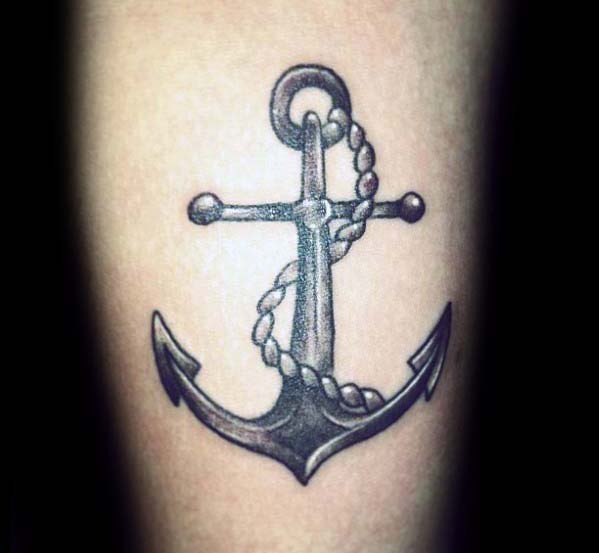 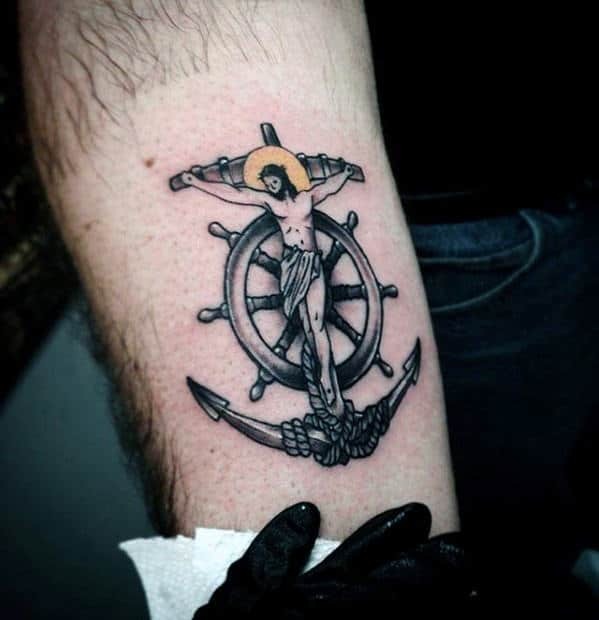 These days, however, the anchor tattoo is no longer reserved solely for those whose lives are dedicated to the sea, but rather to a higher power steering us all through troubled waters. 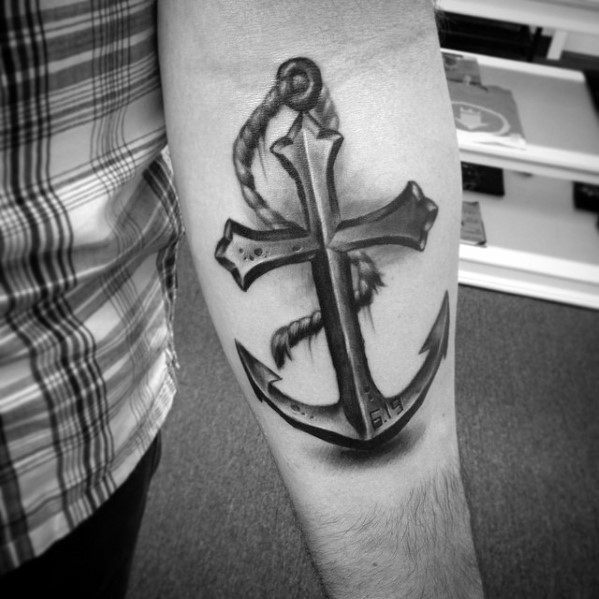 Interestingly enough, the earliest known renderings of the anchor cross symbol were worn by Christians fleeing Roman persecution; the cross being used as a way to identify fellow devotees. 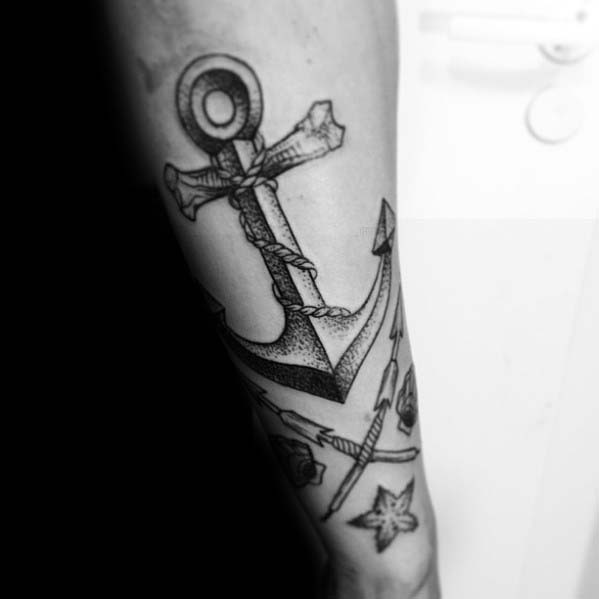 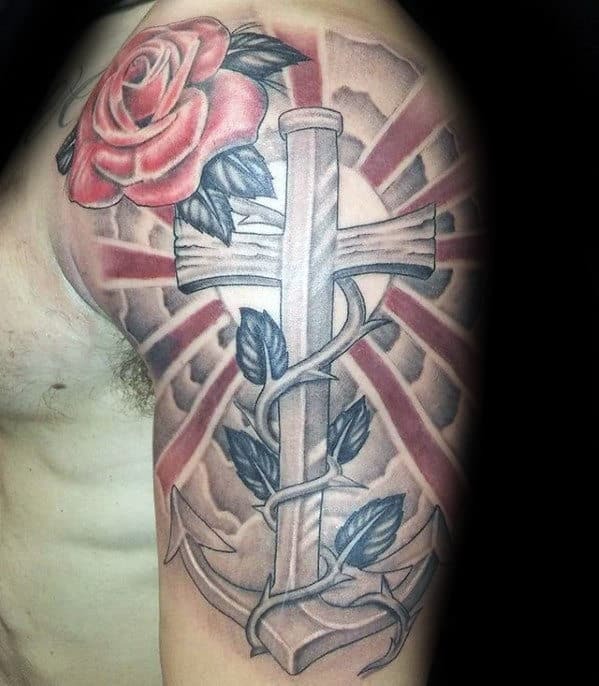 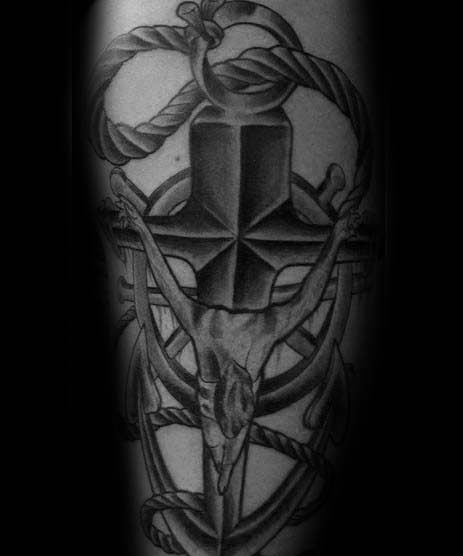 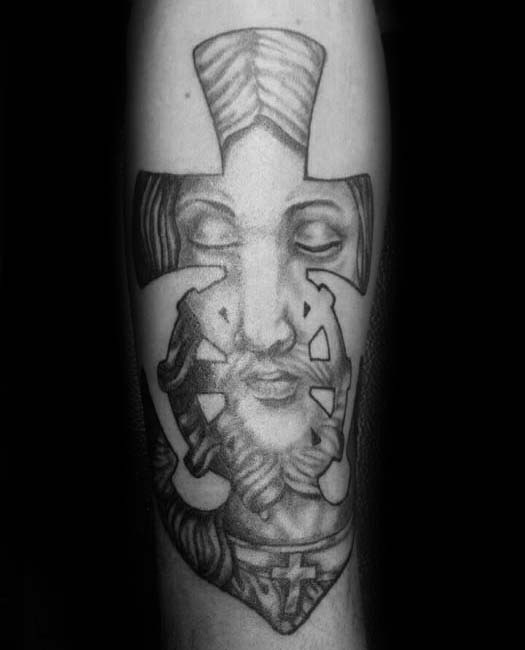 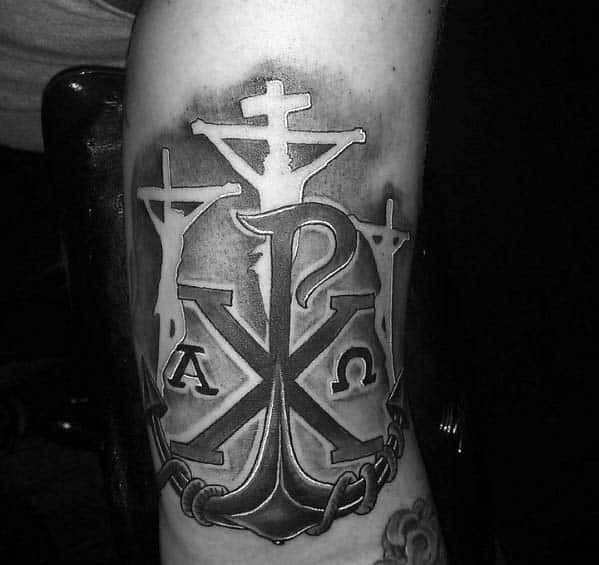 The anchor cross is a universal symbol for strength and faith, no matter the path you walk. 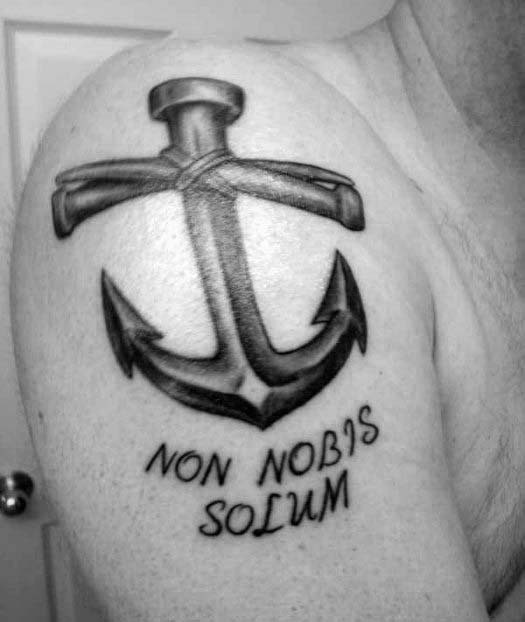 It is the mark of one who recognizes and respects his fellow man, and exercises empathy and selflessness in the face of adversity.